Hit the pavement in confidence and style. 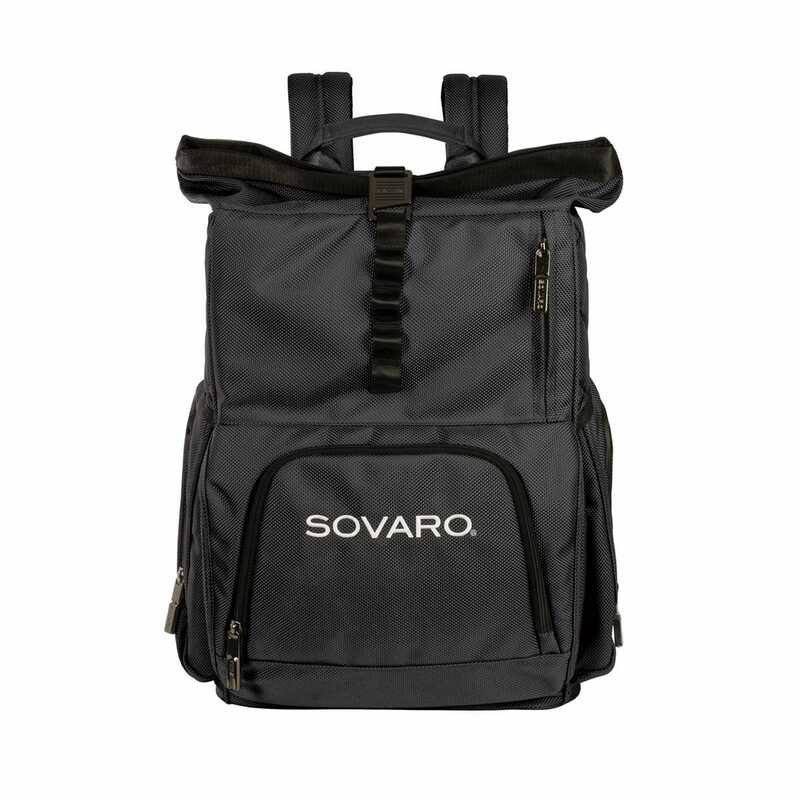 Whether you’re cycling crosstown or heading to the perfect picnic spot, the Sovaro Backpack Cooler is designed to keep the good times rolling. 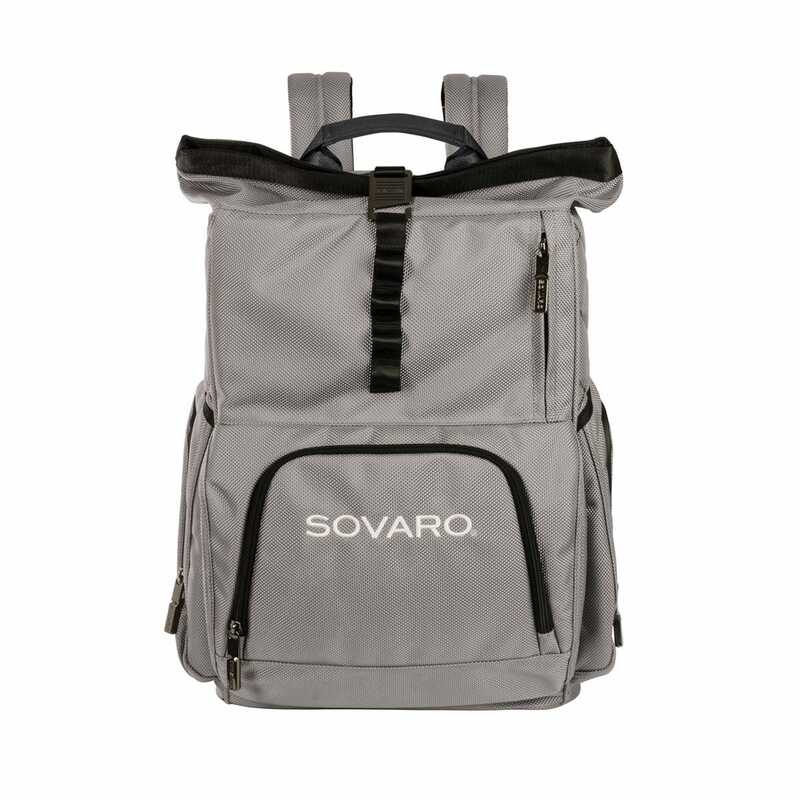 Easily transport your favorite beverage and belonging while keeping them chilled inside the expandable easy-to-open top with magnetic fold and hook closure. The straps are made of a strong, stylish construction of 2520 denier nylon with high-end nylon webbing for additional strength. Shoulder strap and handles are padded with neoprene for added comfort while transporting your Cooler. Spacious interior that is tall enough to store up to 6 bottles of wine, champagne or spirits bottles upright or 24 cans without ice. Two zip pockets are located on each side which are perfect for storing tumblers. Large front pocket for storing essential items with integrated tethered bottle opener. Weighs 6 lbs. Measures 18”l x 7 1/2”w x 21”h. Available in black, gray and blue.